Museums in Venice, a list and overview. The most important museum in Venice is the Peggy Guggenheim, followed by Museum Correr and Gallery Accademia. Venice is not only known for its magnificent architecture, canals and gondolas. It is also one of the most important museum cities in Italy. The most important and famous museums of the city in the Adriatic are art museums and art galleries. But there are also other museums in Venice. For example, there are some exhibitions on the history of Venice and the Natural History Museum in the city centre. 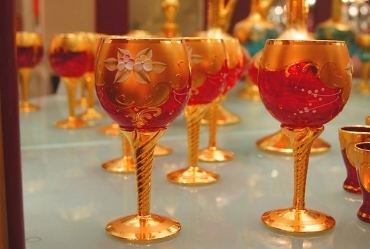 There are also special museums like the famous glass museum on the island of Murano. In Venice art cannot only be admired in museums. Also in many churches and palaces you can admire world-famous works of art. Venice is not exactly a cheap city, this also applies to the museums. Those who want to visit the important museums and some smaller exhibitions will quickly get rid of 100 euros for the entrance fee. If you have to pay for a whole family, you pay 200 euros and more only for the entrance fees. In addition, there are the costs for the journey, like the travel expenses for the expensive vaporetti (ferries), the only public means of transport in large parts of Venice. The details in the overview below, such as opening hours and admission prices, are mostly from 2018 or early 2019. Many museums in Venice are closed on certain holidays (such as Christmas, 1 May or New Year), some are closed on Mondays. How many museums exist in Venice? That's a tough question we can't answer exactly. First of all, it depends on how a museum is defined. Some exhibitions with a commercial background (sale of the exhibited goods) are called museums. In a way, the world-famous Doge's Palace is also an art museum. For us, a museum is a building in which the exhibited objects are in the foreground and not the architecture of the building itself. Below is an overview of museums in the city of Venice. The list only covers the most important museums and is far from complete. We estimate that there are almost 100 museums in Venice. We have divided the list of museums into two parts. First, the reader will find an overview of the most important museums in Venice. Then follows an incomplete list of smaller museums, galleries and exhibitions. Peggy Guggenheim Museum (also Peggy Guggenheim Collection): Although we did not find any statistics, we are pretty sure that this is the most visited museum in Venice. It belongs to the top 10 sights of Venice. It is a collection of modern works of art and exists only since 1980. Works by Pablo Picasso, Wassily Kandinsky, Max Ernst and many other artists, especially from the 20th century, are exhibited. Opening hours daily except Tuesday from 10 to 18 o'clock. Admission price (as at the beginning of 2019): 15 euros, children 10 to 18 years 9 euros, under 10 years free of charge. There are some discounts as for pensioners and other persons over 65 years (13 euros), students, etc. Gallery dell Accademia: Here the building and the museum are sights. The museum is housed in the building of a former large scuola. There are mainly paintings from the time before 1800. The Accademia Gallery focuses on works by artists from Venice such as Giovanni Bellini, Hieronymus Bosch, Paolo Veronese, Jacopo Tintoretto or Titian. Opening hours Accademia Venice: Daily from 8:15 to 19:15, Mondays only until 14 o'clock. Entrance fees Gallerie dell'Accademia: 16,50 Euro for adults. Children under the age of 18 do not pay admission. Young people between the ages of 18 and 25 pay 6 euros (as at the beginning of 2019). There are some other groups such as certain teachers who do not have to pay in the State Art Museum. Museum Correr Venice (full name: Museo Civico Correr Venezia): This exhibition directly on the world-famous Piazza San Marco is both an art museum and a history museum. The history of Venice is represented in countless objects such as paintings, clothes, books and manuscripts, coins and many more things. Among the magnificent paintings of the Museo Correr, perhaps the painting "Two Venetian Women" (Vittore Carpaccio) is the most famous. Opening hours Museum Correr Venice: Daily from 10 to 19 o'clock, in winter (about November to March) only until 17 o'clock. Entrance fees Museo Civico Correr: It is best to buy a combination ticket with the neighbouring Doge's Palace, the Archaeological Museum and some other museums. Such a ticket costs 19 Euro. There is a discount for pupils, students and persons over 65 years of age (all 12 Euro admission). There are family tickets, children under 6 years do not pay admission to Correr. 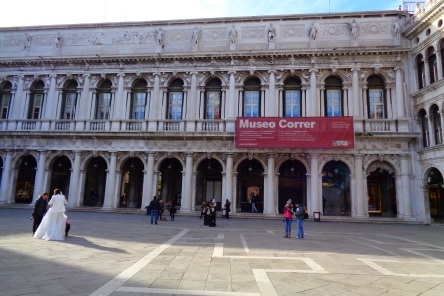 Unfortunately, we could not find out if it is possible to visit only the Museum Correr (without the Doge's Palace etc.) at a cheaper price. How to get there: Take a vaporetto (water bus) to Murano, the best way is to get to the Museo bus stop. Opening hours Museo del Vetro: Summer (April to October) 10 a.m. to 6 p.m., Winter 10 a.m. to 5 p.m., as far as we know no rest day. Admission: 10 Euro, reduced like pupils, students up to 25 years, pensioners 7,50 Euro. Children under 6 do not need a ticket. Not all of these museums are small. Some have a large exhibition area or would be outstanding sights in a city with less museum competition. Venice Naval Museum (Museo storico navale): exhibition of the naval forces of the former Venice and the Italian Navy. The larger museum (5 floors, about 45 rooms) is located far to the east of the main island of Venice and is best reached by water bus (minimum 1 hour walk from the train station). Interesting are for example ship models, old nautical charts, uniforms, weapons of the navy and much more. Opening hours Naval Museum Venice: Daily from 8:45 to 17. From January to May the museum is closed from Monday to Thursday at 13:30 and on weekends at 10 am. Entrance fees Museo storico navale: Admission costs 5 euros in 2017 and probably also in 2018, with a reduction of 3.50 euros. Current information October 2017: The Museum is currently closed due to renovation. How long is unclear to us, probably at the beginning of 2019 or longer. Natural History Museum Venice (Museo di Storia Naturale): Museum in a beautiful location in a palace worth seeing in the city centre directly at the Canale Grande. The exhibition includes an aquarium and a lot of information, e.g. on the evolution of life on earth and wonders of life. Opening hours Venice Natural History Museum: usually from 10 a.m. to 6 p.m., in winter from 9 a.m. to 5 p.m. on some days. Venice Museum of Natural History: Adults 8 euros, concessions 5.50 euros. Museum Ca' d'Oro: In a great palace at the Canale Grande there is a gallery and museum worth seeing. The Ca' d'Oro deals with art from the city of Venice, especially from the Gothic, Renaissance and Baroque periods. In addition to paintings, you can see artistic objects such as carpets and furniture. Opening hours Museo and Galerie Ca' d'Oro: Every day from 8:15 to 19:15, Mondays only until 14 o'clock. Entrance fees Museo Ca' d'Oro: The entrance fee for adults is 8.50. In the family-friendly museum children up to 17 years pay no entrance fee, people up to 26 years 4.25 Euro. National Archaeological Museum Venice: Museum of very old finds, e.g. from the time of the Romans and the Hellenistic period (Greeks). The Archaeology Museum is located directly at St. Mark's Square and can be visited as part of a combined ticket with the Doge's Palace and the Correr Museum. Therefore the "Museo archeologico nazionale di Venezia" is very well visited. The opening hours are similar to those of the Museum Correr (10 a.m. to 7 p.m. in summer and 10 a.m. to 5 p.m. in winter). Admission prices as part of the combined ticket see above at Museum Correr. Museum Leonardo da Vinci: Smaller museum near the Scuala Grande di San Rocco, which deals with the life's work of Da Vinci. You can see replicas of his ingenious inventions, paintings, etc. Entrance fee: Unfortunately we did not find any current official information. According to some reports on the internet the Museo Leonardo da Vinci costs 8 Euro for adults. The Lace Museum Burano is also a popular place to visit (see more information on this page).